MILWAUKEE CITY HALL Book: ABOUT ERIC: Architectural, interior and industrial photography worldwide, with over 50,000 stock images of Milwaukee; Wisconsin; America and the World. 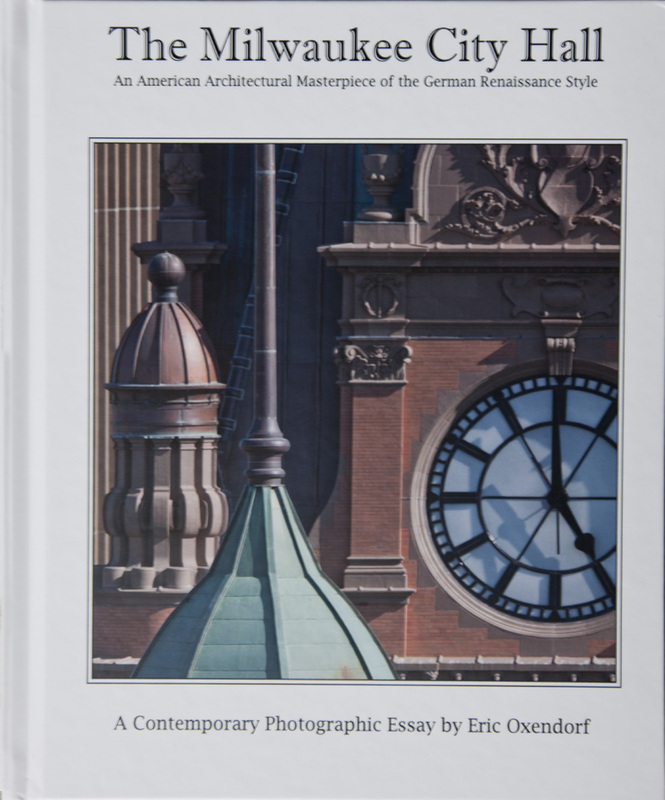 With over 500 images created of the Milwaukee City Hall, 75 selected views are part of this limited edition photographic book. Commissioned by the City of Milwaukee, and contributors of the building renovation project, Eric photographed this icon of Milwaukee over a six week period. Despite dealing with pedestrian, traffic and weather problems, the building was viewed from many angles that are familiar with the photographer’s life long observance of the building. Eric has photographed the City Hall since 1978 for various concerns like the US Dept of Interior, National Park Service Archival Division, HABS program of the Federal government and several advertising agencies. This 8” by 10”, 79 page hard cover book is printed on premium 100 lb silk finish paper, printed in America. Most text is supplied by the Historic Structures Report, with a special section about the Milwaukee Harp Luminaries. Single copies are $60, with discounts for larger quantities, plus shipping. Signed, Limited Edition Color Display prints to 30"x60" also available. Books are currently available only through Boswell Book Stores, Milwaukee (414-332-1181) and the author (414-397-9840) or request info at eric@ericoxendorf.com.